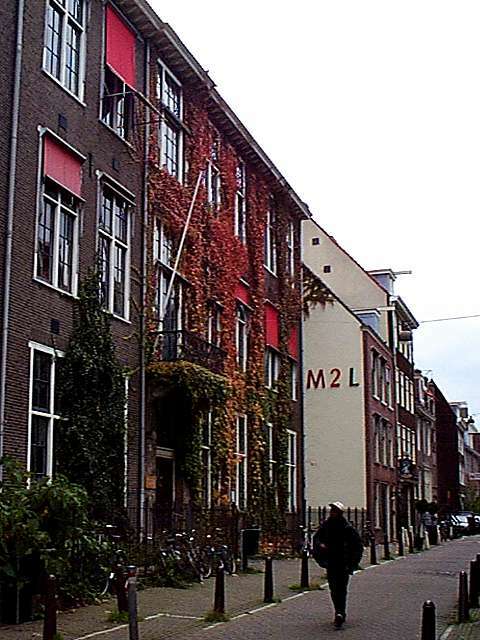 My first visits to Amsterdam were a couple of day trips during my extended stay in Brussels. It's three hours by car, although in a Peugeot 504 diesel with no radio it seems a bit longer. 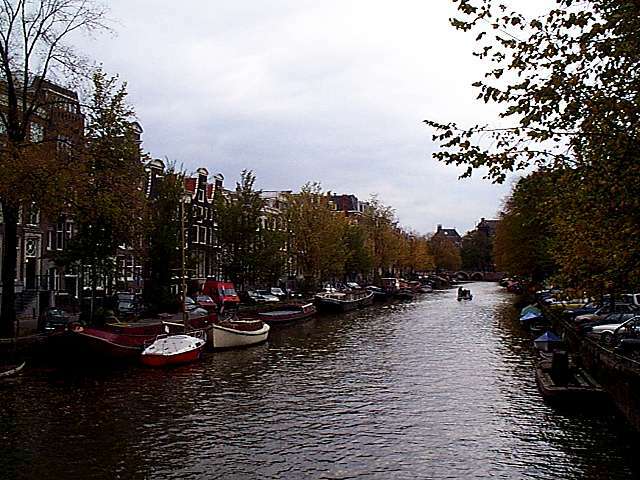 I'd heard such interesting stories about Amsterdam that it seemed a perfect destination. The reality was and is a lot more interesting than the stories, at least the ones I'd heard. 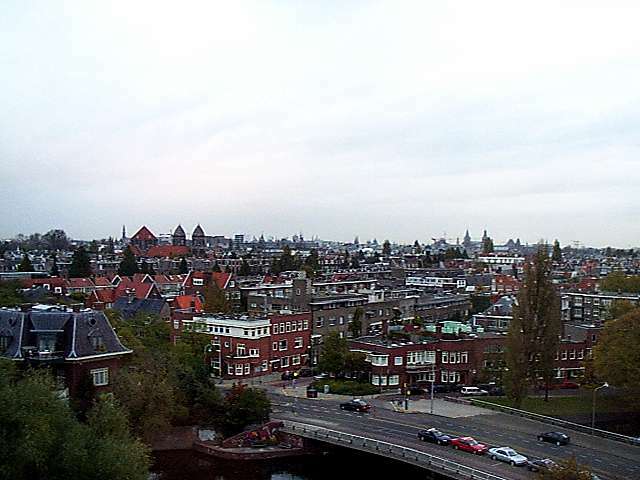 Like the rest of the country, Amsterdam is flat. There isn't much of a skyline, which makes the city feel more like an oversized village than a big city. The lack of elevation is a blessing for those of us who like to explore on foot: no risk of going the wrong way and facing an endless staircase or an overlook with no way down. In a way, wandering around Amsterdam reminds me of my visits to Florida. With no hills or mountains in the way the sky becomes a more dramatic part of the scenery. 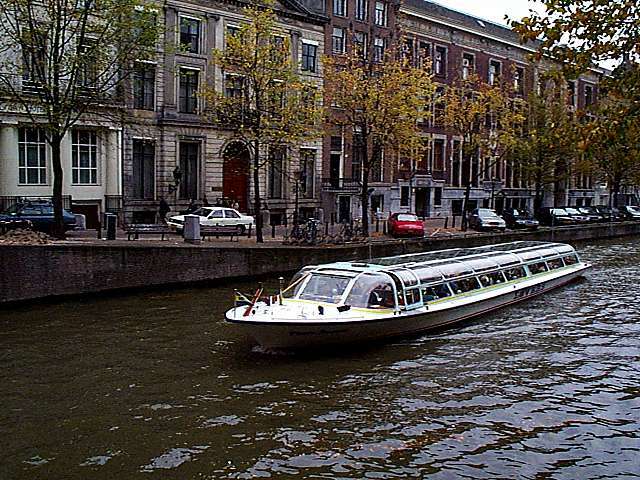 The canals add a lot to the city's visual appeal. They also make navigation a lot easier, especially for someone who finds it a challenge to match those long Dutch names against his map. Knowing the general direction I'm walking, I'd just keep going until I finally reached a canal. They made it a lot harder to get lost, even during my more aimless strolls about the city center. 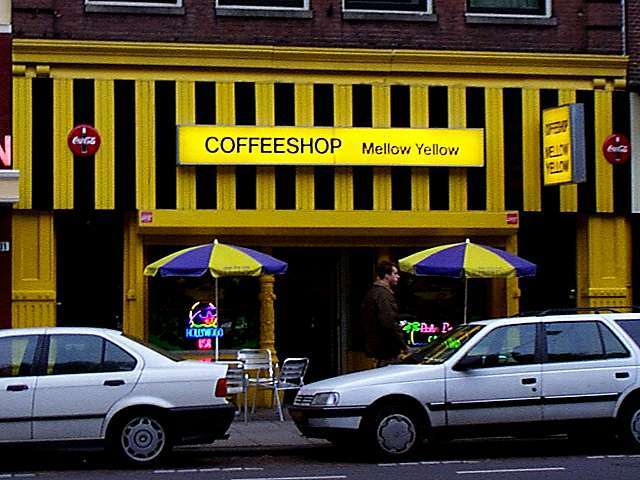 Back then I'd also have thought nothing of all the coffee shops around town, even ones with obvious names like Mello Yellow and drawings of yellow submarines on their windows. Now I'm older and wiser about their true function. Not that I have any direct experience, mind. But I did hear about a former colleague who spent his entire visit to Amsterdam in an alternate plane of existence courtesy of such establishments. Shocking, don't you think? 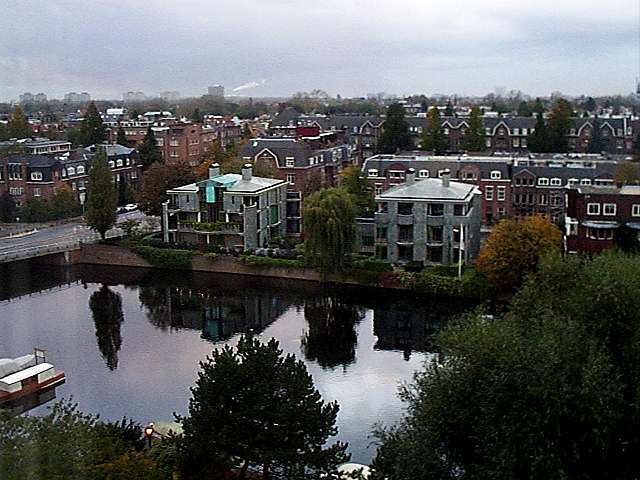 Amsterdam does have more to offer than coffee shops and a red light district that really is bathed in red light. 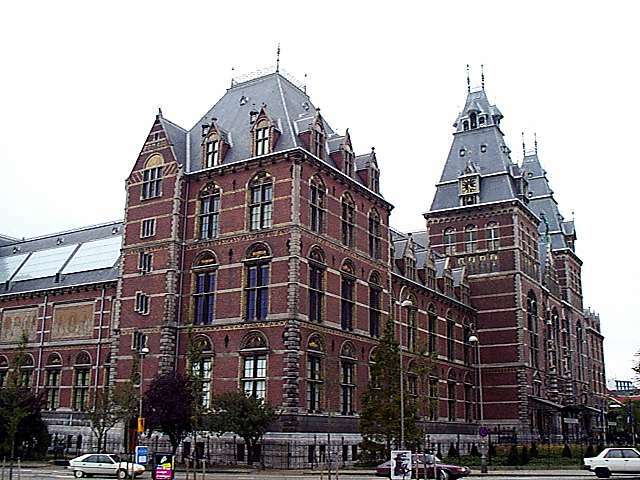 There's the Rijksmuseum, home to a fabulous collection of Rembrandt's work. It's a remarkable work of art in its own right, especially compared to the boring Van Gogh museum down the street. 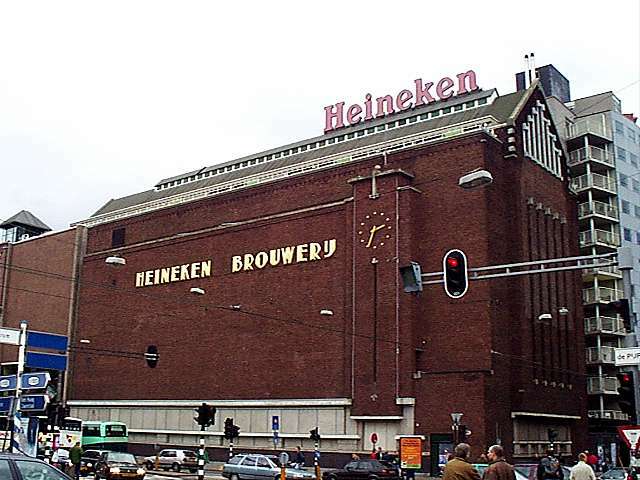 A rather more practical building is the Heineken plant a couple of blocks away. Hey, I may not know much about art but I know what I like! 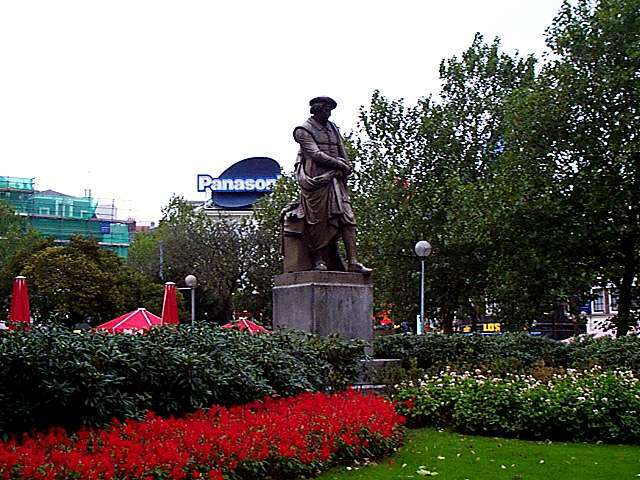 Rembrandt himself is honored by a square near the major shopping and entertainment district. (No, not that one. That's a little further north. Or so I'm told. Not that I've ever been there myself...) Just down the road are video games, fast food places (including world class french fries! 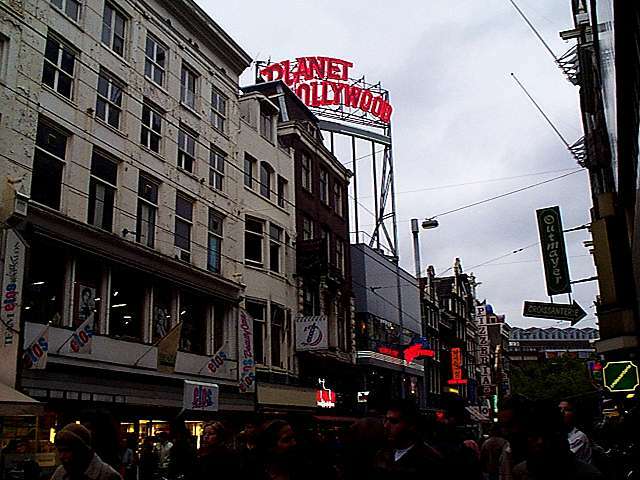 ), a movie theatre and the local Planet Hollywood. I've never understood the appeal of Planet Hollywood. It's just a Republican version of the Hard Rock Cafe, an establishment whose appeal also escapes me, although I have less trouble with their world view. (And the giant guitar at the Hard Rock in Las Vegas is kind of cool in a kitschy sort of way.) But at least liberal Hard Rock types are supposed to be easily led. What excuse do hard headed and soulless conservatives have?